What’s in a name means that the name is not important as long as everybody understands what you mean. Participants of the tug-of-war sport don’t worry about the name, as they know very well what it means. However when you send a letter to an embassy to inquire whether there is any tug-of-war in that country and the reply is that they have no tugboats from the war; apparently not everybody has understood what you meant. In many languages the name for “tug-of-war” consist of two parts; translated in English these words are: rope and pull . These two words clearly explain the essence of the sport, “pulling on a rope”. Why then in the English name the reference to “war” whereas the sport is unquestionably a peaceful non-contact team competition? The explanation lies in the fact that the English phrase “tug-of-war” is very old; its history going back to the origin of the diversity of languages in Europe. Though not many English speaking people are aware of it, the English language, like so many other European languages, stems from old Germanic languages. Digging deeper into the linguistic past, it is found that the name originates from the archaic words, toga and werra coming from old Scandinavian, Germanic and Frisian languages. 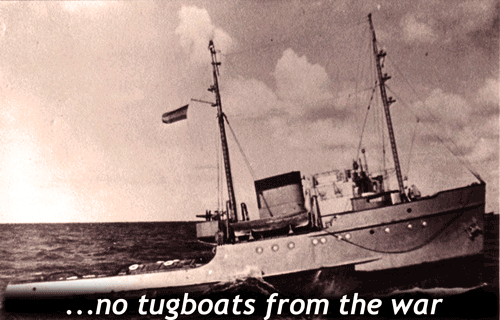 TUG originates from the Old Norse word "toga" which means to draw, drag or to pull. The verbs draw, drag, pull and tug are synonyms of each other however they express distinct levels of effort; tug - is to pull with strenuous, persistent effort. WAR originates from the Old German word "werra" which means strife. The word strife comes from the Old Frisian "estrif" and is equal to the words; streit, wettkampf (German), wedstrijd (Dutch) and strid (Swedish), all meaning contest or competition. From this little trip through the linguistic past of the tug-of-war it is not difficult to find that the meaning of the name is; a Contest of pulling with great force and persistent effort After so many centuries, this description is still a very clear definition of the tug-of-war sport. If one day you happen to see the sport on television, would you however not identify a name like “Rope pulling” more easily with this sport? But then again what’s is in a name ……..